Lava from Hawaii’s Kilauea volcano destroys first house. If the idea of lava flowing from an active volcano towards your home seems like a nightmare you once had—you’re probably not alone. In Hawaii that nightmare is playing out in real life, but in slow motion. 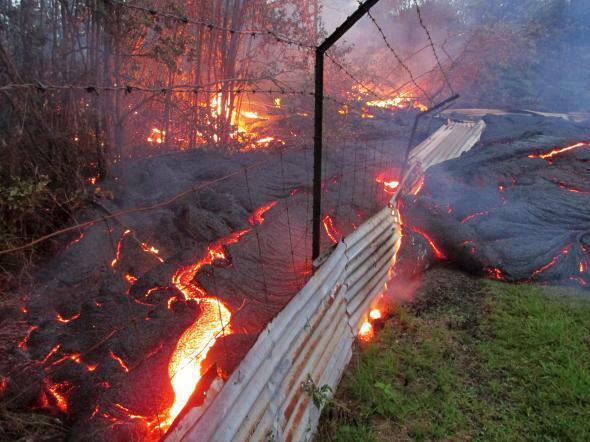 Lava began flowing from a vent in Hawaii’s active Kilauea volcano in June and began inching towards the town of Pahoa. Residents of the rural town have been watching the lava ooze closer for months. Two weeks ago, the flow of molten rock entered the town, and on Monday, the slothlike flow engulfed its first home.